In this tutorial we will look at how you install and run the mosquitto MQTT broker on a Linux server running Ubuntu. We will look at installing Mosquitto on a local server running Ubuntu LInux and also an AWS linux server instance (cloud server) also running Ubuntu Linux. The install and testing procedure is the same regardless of weather it is a local install or a cloud install. For a local install jump to the Install instructions. For a cloud based install you need to do some pre-install preparations. First you need to create a virtual server . Amazon have a very good and detailed tutorial here. When you create the new instance it is automatically started. Managing and installing software on the server instance is done using the command line. To connect to a command line on your server instance you will need to use SSH. 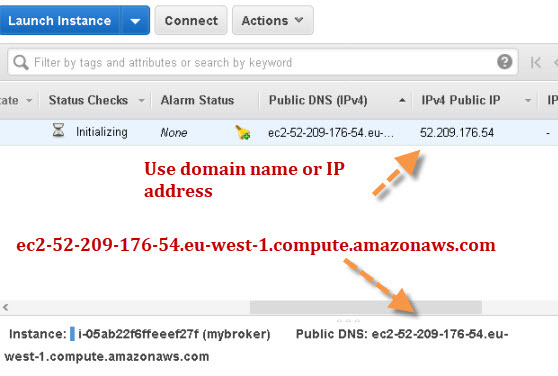 The instructions for connecting to the instance using SSH are also part of the tutorial on creating the instance. On Windows SSH is provided by PUTTY. You need to be aware of a few things. When you get the command shell with the login as prompt then you need to login as the user ubuntu and don’t need a password. Also even though you need to use the sudo command you don’t need a password. The default security policy blocks all ports except the one used by SSH (port 22). It also restricts login to you current IP address and this can change in the future which will mean that you will need to edit the rule. You will need to open the ports you will be using on your broker (normally port 1883 ) see later. If you try to ping the instance to check it is running then it probably won’t work either as you need to allow the ICMP packets. You need to edit the inbound rules.The screen shot below show my modified security policy. When you stop and start the server instance the IP address changes and so does the domain name. If you look at the instance you can see the domain name and IP address. 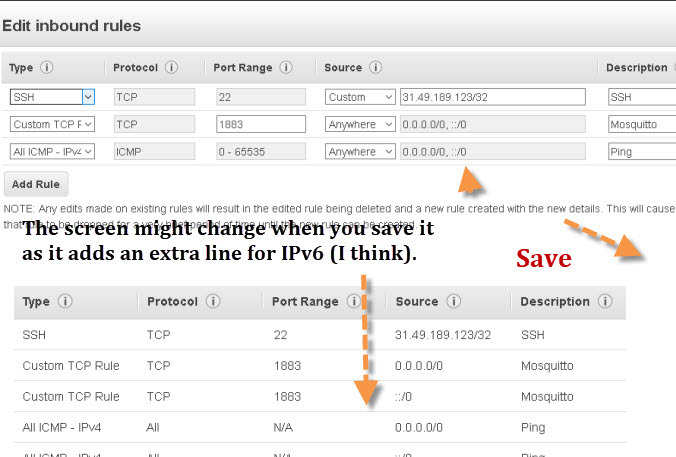 Note: Other virtual servers will also have IP/port restrictions that need changing. The download links and install directions for Linux are here. I followed the install instructions for Ubuntu but they seemed to miss a few important steps. Here are the steps I used. If you want to see the control messages on the console then you need to start the mosquitto broker manually from a command line. The configuration file (mosquitto.conf) that comes with the install only has a few lines for logging. 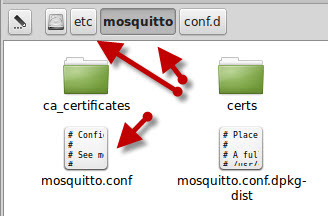 You can find the mosquitto.conf template file in the /etc/mosquitto/ folder. Note: For testing it is easier to use a configuration file in your home directory rather than the /etc/mosquitto folder as you need root permissions to edit files in this folder. You can configure a broker to listen on several ports, but to create multiple brokers with their own configurations then you will need to start multiple instances of mosquitto. 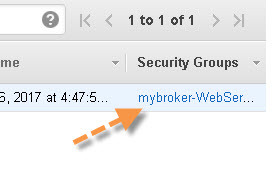 See Quick Guide to the Mosquitto.conf file and this video on running multiple brokers. Start mosquitto as a daemon and use the mosquitti-2.conf file. MQTTlens is also very useful for troubleshooting and quick testing. It is an add-on for the chrome browser. MQTT-Ping -Python Tool written by me that works like the traditional IP ping command tool. 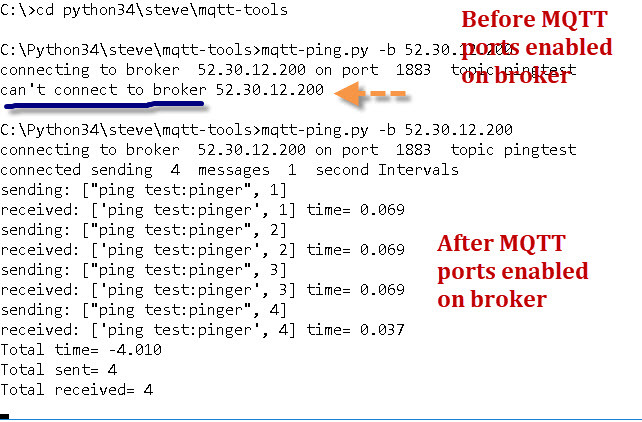 How to Install the Mosquitto MQTT broker on Windows. Thanks so much for this article, every other install guide misses completely the step to import the repos, which is baffling because otherwise nothing works. Thanks for being thorough in your explanation. Agreed. Thanks for this easy to follow information!